The term Managed Futures refers to a 30+ year-old industry made up of professional money/account managers known as Commodity Trading Advisors (CTAs). CTAs are required to be registered with the U.S. government’s Commodity Futures Trading Commission (CFTC) before they can offer themselves to the public as CTAs. Where do Managed Futures fit in the investment universe? This diagram is for illustrative purposes. 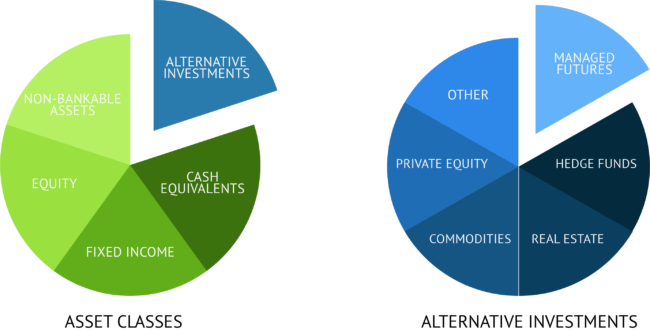 Using the simplified diagram above as a guide, Managed Futures is a subset of the alternative investment asset class. Conventional wisdom supports the idea of multiple asset classes representing your investment portfolio. We recommend always considering the advice of your financial planner, too. Typically, alternative investments, and Managed Futures especially, perform with low or even negative correlation to traditional investments. Additionally, they may have little to no correlation with other counterparts in the alternative investment space, like real estate or even commodities themselves. For this reason, Managed Futures has the potential to reduce the overall investment risk of your portfolio. Investors of all types—from individuals to large institutions—use Managed Futures. CTA programs come in all shapes and sizes using various markets and methods to accomplish their strategy. The CTA dictates the minimum investment requirement. Some CTAs will accept as little as $10,000 to start. 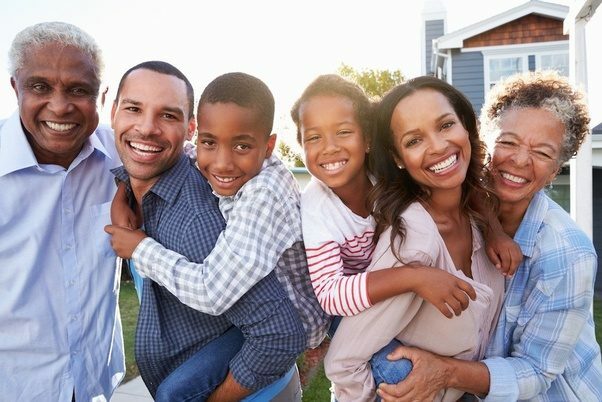 Additionally, investors may use different ownership structures if they find it beneficial. Accounts owned by entities like an LLC or corporation maintain frequent use. You can even use qualified money held in an IRA. View our CTA Database of trading programs and talk with an Investment Specialist about which programs are the best fit for your portfolio. In short, Managed Futures has the potential to perform independently of your traditional stock and bond investments. Factors that cause the stocks and bonds to perform better or worse may or may not have any effect on Managed Futures investments. To put it another way, these investments don’t require a positive economic environment to perform well. Click on the link to read more about the potential benefits of Portfolio Diversification. How do I decide if they are right for me? We believe Managed Futures is an excellent investment opportunity, but it’s not for everyone. There are a number of considerations before investing, so we strongly encourage you to get to know an Investment Specialist. We work with individuals and institutions. We don’t charge for our information or expertise. Give us a call or fill out our contact form, and we will guide you through the process hassle-free.